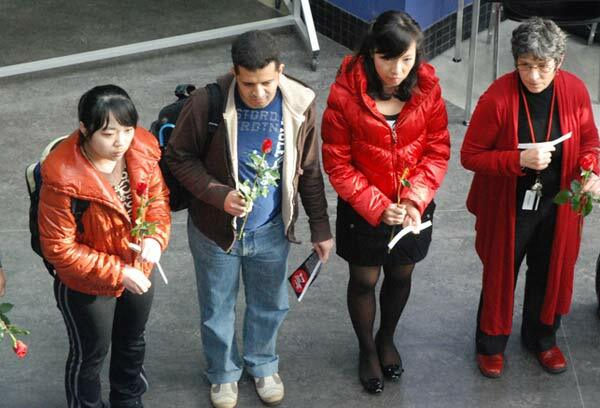 On Dec. 3, the Kwantlen Polytechnic University Faculty Association planned a moment of silence in recognition of the National Day of Remembrance and Action on Violence against Women. The day, which was established by Canadian parliament, was created in honour of 14 women who were murdered at École Polytechnique de Montréal in 1989. Often referred to as the Montreal Massacre, the brutal murders were acts of a single male, entered the school and purposely targeted only the female students. While this day of remembrance is expressed all across Canada, it appeared many Kwantlen students were more interested in the free breakfast the Kwantlen Student Association was offering that morning. As nine students circled around a small table, holding roses and bowing their heads in silence, more than 20 students were noisily gathering around the KSA food table, directly across the Richmond rotunda, to receive free cereal and toast. 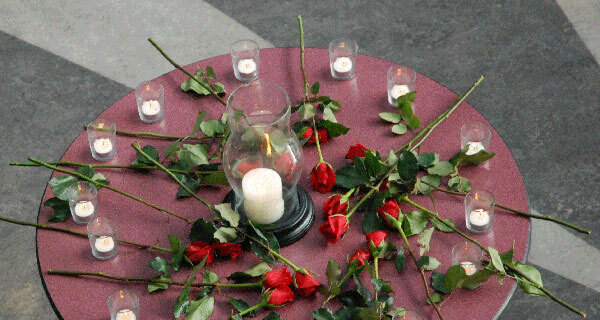 As the participating students laid the roses to rest on a small round table, and lit candles for each rose, it seemed the rest the student population were oblivious to the seriousness of the occasions. 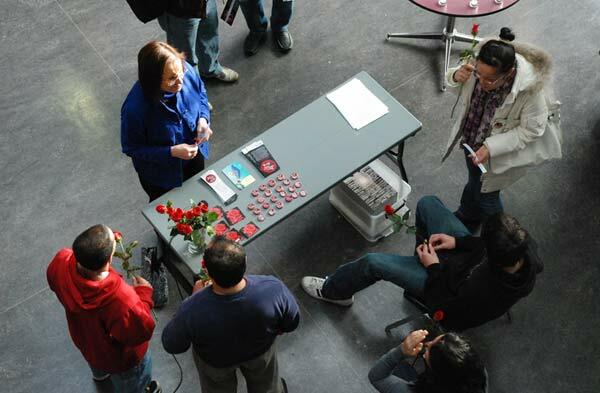 The roses where left unattended on the table, alongside several pamphlets about the occasion, and then students left for classes, disappointed, as a larger turnout had been expected.